The poor, according to Amartya Sen’s Capability Approach, consist of individuals who are deprived of basic freedoms such as education, political power, and other capabilities that allow individuals to achieve full lives that they have reason to value. This approach broadens the definition of poverty beyond traditional terms of financial power to recognize a multitude of “unfreedoms” which hinder upward movement in society. Historically, marginalized individuals most affected by policy changes are often ignored in the decision-making process in the development arena. This creates dire consequences: from lack of acceptance and implementation of new initiatives at the grassroots level to the inability of locals to adapt and scale programs according to their own community’s specific needs. In order to ensure that past historic injustices are not repeated and to promote the human dignity of all individuals, it is necessary to engage with empathy and to view research, problems, and policies from the perspective of those most affected by development challenges. By providing a preferential option for the poor, or acting in solidarity with marginalized individuals, the feasibility and acceptance of potential solutions on the ground can be improved. This approach transforms the language of development from “donor” and “recipient” into a partnership where all parties contribute and benefit. This theme seeks to highlight the need for such partnerships by engaging empathetically with all stakeholders during the process of human development. For questions about the conference, contact the co-chairs at hdc@nd.eduThe University of Notre Dame’s Human Development Conference (HDC) is an annual, student-led conference that provides a platform for dialogue in which students from many academic backgrounds and disciplines can share their development-focused research. HDC strives to empower passionate students to learn more about a wide range of topics and network with other student researchers from across the country and the world. 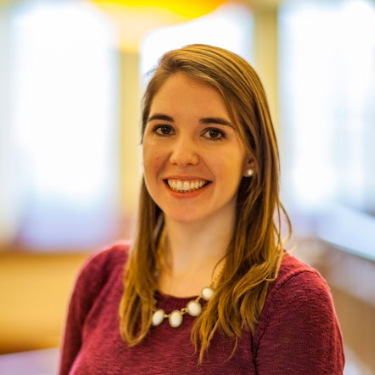 Michelle Morse is Founding Co-Director of EqualHealth and Assistant Program Director for the Internal Medicine Residency at Brigham and Women’s Hospital. Dr. Morse co-founded EqualHealth (www.equalhealth.org), an organization that aims to inspire and support the development of Haiti's next generation of healthcare leaders through transforming medical and nursing education and creating opportunities for Haitian health professionals to thrive. She works to strengthen medical education globally, expand the teaching of social medicine in the US and abroad, and to support health systems strengthening through EqualHealth. In 2015 Dr. Morse worked with several partners to found the Social Medicine Consortium, a global coalition of over 700 people representing over 50 universities and organizations in twelve countries, which seeks to use activism and disruptive pedagogy rooted in the practice and teaching of social medicine to address the miseducation of health professionals on the root causes of illness. In 2018, Dr. Morse was named as a Soros Equality Fellow and will be working on a global Campaign Against Racism during the fellowship. 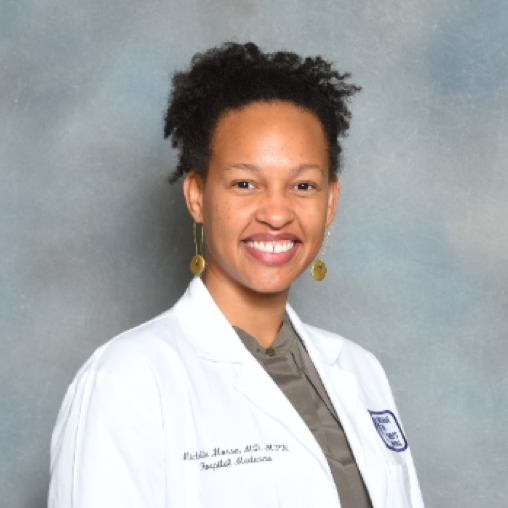 As a Howard Hiatt Global Health Equity resident in Internal Medicine at BWH from 2008-2012, Dr. Morse worked in Haiti, Rwanda, and Botswana. She focused her international work in Haiti where she helped to coordinate Partners In Health’s (PIH) earthquake relief efforts, was a first-responder for the cholera epidemic, and worked on women's health and quality improvement projects. Dr. Lyon is the Chief Integrated Health Officer at Heartland Health Outreach (HHO) serving the primary care, behavioral health, psychiatric, and oral health needs of people experiencing homelessness in Chicago. As Chief Health officer, Dr. Lyon oversees all clinical and quality programs at HHO in addition to leading a number of collaborative efforts with governmental, law enforcement, non-governmental and academic institutions. Dr. Lyon’s academic interests encompass global health, human rights scholarship and advocacy, social medicine, prisoner health, and medical education. 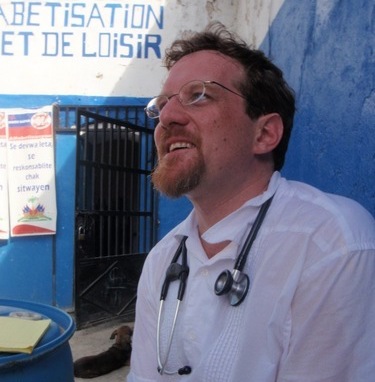 He has collaborated with Partners In Health [www.pih.org] in Haiti and at other sites for more than 20 years. Dr. Lyon is an advocate, researcher, and author on health and human rights. He is on the board of the Pozen Family Center for Human Rights and at the University of Chicago and a lecturer in the college. Dr. Lyon served as the lead faculty on a University of Chicago Delhi Center funded project to advance “Rights-based Approaches to Tuberculosis” in collaboration with the University of Chicago Law School. Presenters are expected to attend the entirety of the conference, from Friday afternoon to Saturday evening. Due to the number of presenters involved in the conference, we are unable to meet requests for specific presentation times. Please plan your travel accordingly. Panel Presenters will be placed with 1-3 other students whose research is related. A panel will last for 1 hour and 30 minutes and consist of student presentations, feedback from a faculty moderator, and discussion & questions with the audience. Please be aware that going over time will infringe may infringe upon the time allotments of other presenters. Format: Presenters typically utilize a PowerPoint, Prezi, etc. to present their project. We encourage creativity with graphs, charts, videos, etc. A laptop, projector, screen, and podium will be available in each of the session rooms. You will not be able to use your own laptop for your presentation. Relate your research to the conference theme. Your final presentation (be it PowerPoint, Prezi, paper, etc.) will be due by Monday, February 11, so that panel moderators will have adequate time to review and prepare their remarks and feedback. Following the conference, your presentation may be placed on our website to serve as a guideline for next year’s presenters. HDC will alert you of the status of your submission by late January to early February. Finalists are invited to the conference to share with conference attendees about their photo and experience. Photos will be enlarged and displayed during the conference. Photo presenters in the Ongoing Gallery may stand with their display and be prepared to discuss their research during the three breaks of the conference on Saturday, and for the second half hour of lunch. Presenters in the Photography Open House will share the stories behind their work in a special 45 minute session in which conference attendees will be directed to the room to hear about the connections and importance of these selected photos/videos. More information will be provided on this session to those selected to present. All submitted photos may be used by the University of Notre Dame for publicity or educational purposes and will be properly credited if used. 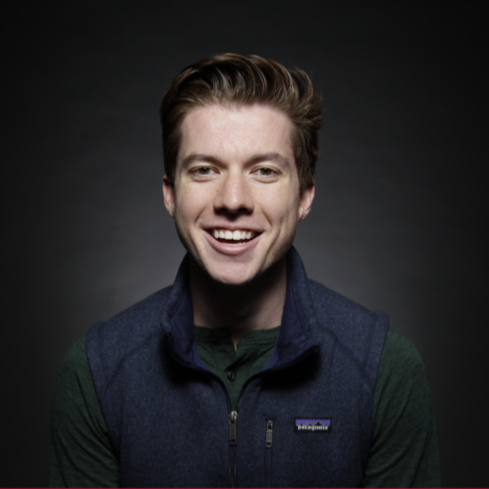 Murtagh is a senior from Andover, Massachusetts studying Biological Sciences with a minor in International Development Studies. She is passionate about global health and understanding the political, social, and economic factors which interact with medicine to affect healthcare outcomes. She spent the summer of 2017 learning in clinics in Gulu, Uganda. 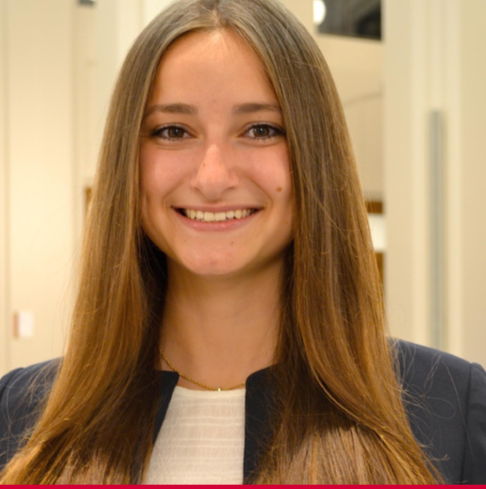 After witnessing the effects of blood shortages, she returned in 2018 to study perceptions and behaviors toward blood donation, seeking to use results to understand campaigns which can promote the collection of blood and alleviate shortages. At the University of Notre Dame, Caroline also performs research in cancer pharmacogenomics. She is heavily involved in Special Friends Club, a program which coordinates mentorships between Notre Dame students and children with Autism, and Aquatic Relief for Kids, where she teaches swim lessons to pediatric cancer patients. 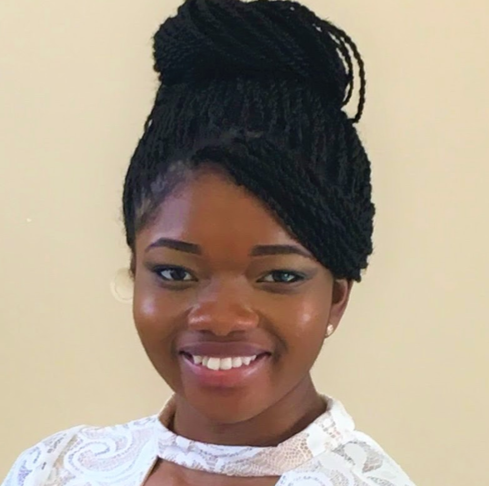 She enjoys working with and learning from diverse groups of people, serving as as a Resident Assistant in her dorm and volunteering at Saint Joseph’s Family Medicine Center in South Bend. 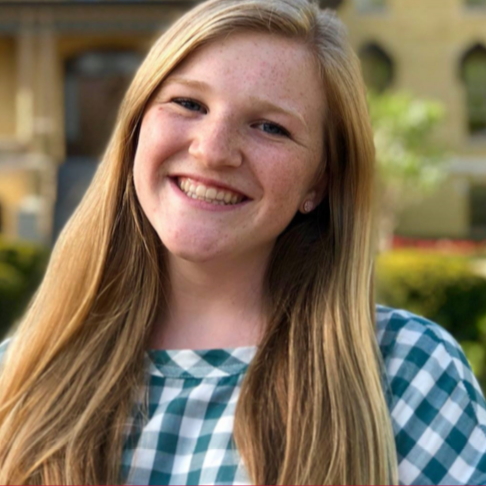 Caroline is eager to explore human development in the context of empathy and the preferential option for the poor as a co-chair of the Human Development Conference. Nayak is a junior from New Orleans, Louisiana studying Neuroscience and Behavior with a minor in International Development Studies. An immigrant herself, she does not shy away from engaging those interested in conversations about race, immigration and social justice, especially in the context of medicine. 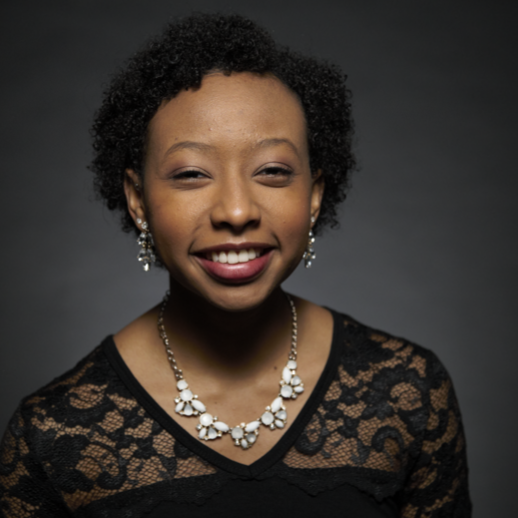 Along with serving as a secretary on the Diversity Council, she is involved with the Posse program and the Fighting Irish Scholars Program, both of which are involved with helping students of all backgrounds have the full Notre Dame experience. Her love for the sciences has led to her involvement as co-managing editor of Scientia, Notre Dame’s undergraduate research journal. Her experiences in the Indian healthcare system, volunteering at an ER in New Orleans and engaging the local South Bend community as an EMT trainee, have all made her a strong proponent of equity in healthcare. Vaishali is excited to examine how the lens of empathy can transform the meaning of human development as a co-chair of this year’s Human Development Conference. Irla Atanda is a junior American Studies major minoring in International Development Studies and Business Economics. Her diverse background (mother is Nicaraguan, and father is Nigerian) has fostered her interest in international development. She spent last summer (2018) in Cochabamba, Bolivia as a part of the Center for Social Concerns International Summer Service Learning Program (ISSLP) working with the development of children. Here, she discovered a love for sustainable education, more specifically indigenous cultures within Latin America. She hopes to contribute towards the Human Development Conference her organizational skills towards helping co-lead the logistics committee and her knowledge she gained in sustainable development through education in Bolivia. 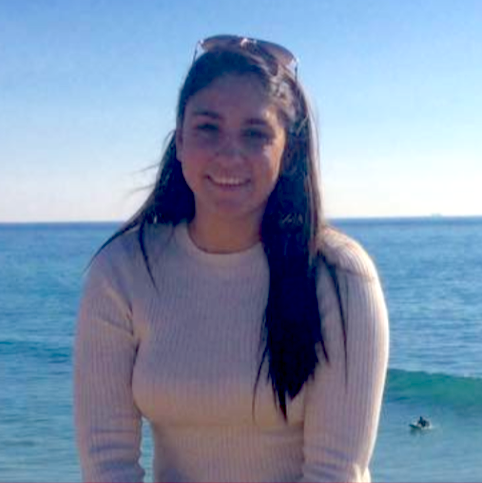 Laura Hernandez is a senior sociology major and IDS minor. This past summer, she conducted research on healthcare systems in Uruguay for her Capstone. Having been involved with the logistics committee for the last HDC conference, she is excited to bring her brand of individuality again this year. Kyersten is a junior International Economics major with minors in International Development Studies and Energy Studies. She has spent the past two summers in primarily indigenous areas of Central and South America working with social entrepreneurship businesses. Next summer, Kyersten plans to conduct research on the relationship between indigeneity and environmental activism in Peru. As this year's Liaisons Co-Chair, Kyersten is excited to share the interdisciplinarity of human development and inspire new scholars to engage with development issues. Raelene is a senior Computer Science major and Sociology minor from Los Angeles, California. After spending last summer in Gulu, Uganda working with an NGO that provided information and communication technologies to rural communities, she became really interested in the power of community computer networks and the ways in which technology can be leveraged for human and international development. She hopes to bring a fresh set of eyes and interests to the Human Development Conference that will help the conference to grow in scope and begin to incorporate disciplines not typically considered but that may have vast impacts on development. Ruying Gao is a senior from Beijing, China. She is a mathematics major with a minor in Philosophy, Politics, and Economics. She has taken multiple classes with IDS and has been involved in the HDC in the past two years, serving on the Logistics Committee and the Liaisons Committee. Her research interests revolve around applying analytical tools to studying social problems, particularly in the arena of public international law and science and technology. She joins the awesome team this year hoping to further explore the concept of empathy and engage more students in this beautiful conversation. She hopes that her previous experiences in the HDC could help the team better navigate and her love for research and passion for development could generate good practical ideas for the team. Sharon-Rose Nartey is a senior science pre-professional major. She enjoys teaching, working with children, and is passionate about reducing global health disparities. Over the past two summers, she has taken a basic science approach to advocate for individuals with tuberculosis. Although her research was an exceptional experience, she found herself wanting something more - something that would bring the person-centered approach back to research and would tell the stories of those impacted most by diseases and conditions of poverty. Therefore, she was thrilled when she learned that the theme of this year’s human development conference was engaging with empathy. She is excited to bring light to student efforts towards creating sustainable, culturally sensitive, and empathy-centered improvements across the globe. Christine Mai is a Senior Science Preprofessional and Spanish double major at the University of Notre Dame. Her interests in development and international affairs sparked from growing up in a Vietnamese immigrant family. After coming to Notre Dame, her interests expanded to the Hispanic culture and language. She has studied abroad in Toledo, Spain, and Puebla, Mexico and also spent this past summer working in El Salvador through Notre Dame’s International Summer Service Program. Because of the people she met in various countries and her exposure to the injustices and poverty that still exist in the world, Christine is devoted to sharing her experiences with others, taking action, and spreading the word about development issues. She hopes that the Human Development Conference can act as a medium for conversation about these issues and that voices can be given to those who are often voiceless. 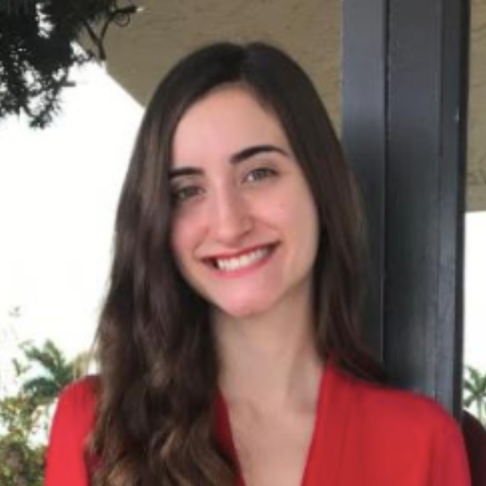 She hopes that the conference can spark the same passion in its audience for development and global issues as she has and that it further encourages the importance of empathy, solidarity, and accompaniment in addressing human development issues and in interacting with the most vulnerable populations all around the world. Nicole Waddick is a senior Political Science major and International Development Studies minor. 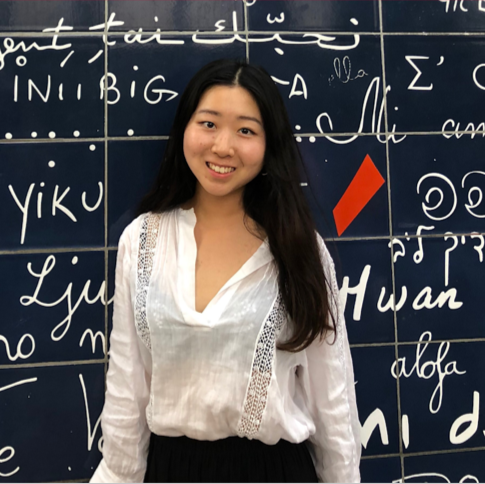 Through grants from the Kellogg Institute, she has traveled to Laos and the Dominican Republic during the summers after her freshman, sophomore, and junior year. These experiences were some of the most formative opportunities of her college career and sparked her passion for sharing and engaging with people from different backgrounds and cultures. On campus, she is the Co-President of GlobeMed, a club focused on generating conversations on social justice. 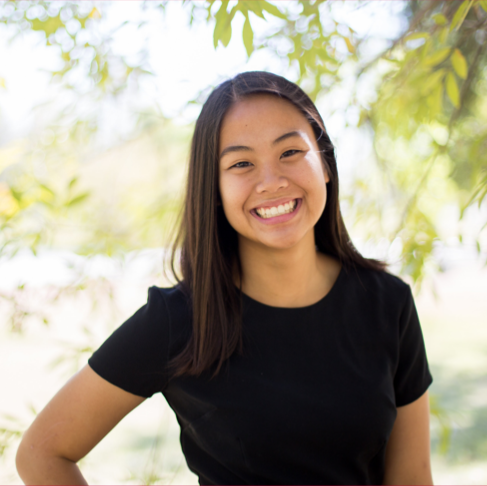 Through leading her committee in HDC, she hopes to bring my passion for global engagement to help organize a conference that facilitates these conversations and sparks careful consideration of the ways that we can engage with empathy on a daily basis. Madeline is a senior majoring in Economics and Spanish, with minors in International Development Studies and German. 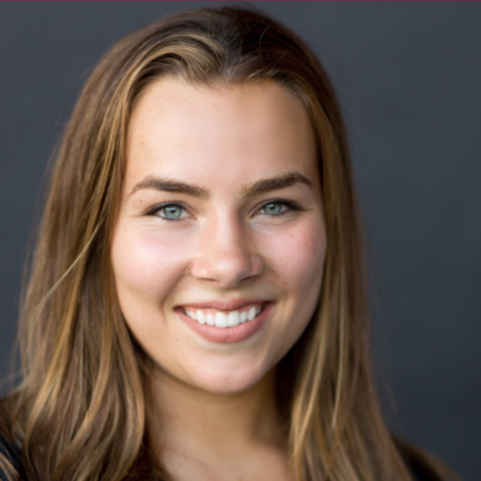 She is from Overland Park, Kansas, but has studied abroad in Berlin, Germany and Santiago, Chile and worked with the social business Social Entrepreneur Corps in Quetzaltenango (“Xela”), Guatemala. Through interacting with migrant communities in Berlin and consulting for educational nonprofits in Xela, Madeline saw how education is an incredible tool for empowerment, particularly for disadvantaged groups, fostering her interest in access to education and teacher quality. Madeline has enjoyed the Human Development Conference as a participant and marketing co-chair and is excited to better understand how empathy is crucial to development. Joe Drey is a junior Political Science major with minors in International Development Studies and Collaborative Innovation. He is very interested in all topics and issues related to food. As a part of the International Scholars Program Joe does statistical analysis of post-Soviet food systems, and in his own research, has traveled to Ghana to study food choice in a transitioning country. Joe also loves working with graphic design and social media, and hopes to contribute his own excitement and foster the excitement of others to this year’s HDC. 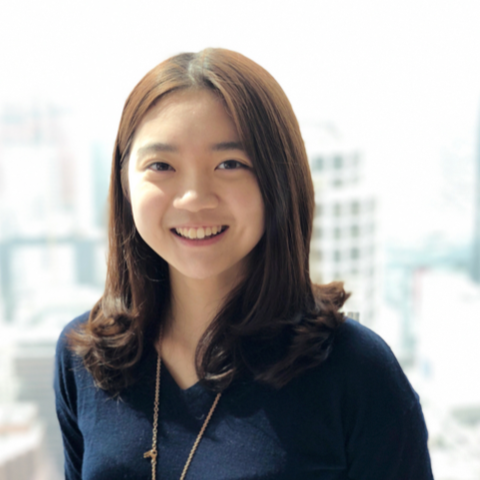 Yunyi Bai is a senior majoring in industrial design with a minor in Italian language from China. Her interest revolves around understanding sustainability and exploring solutions for environmental issues within local communities. She spent a summer researching textile art of women from different Miao tribes in Guizhou, China. She works as graphic designer helping to incorporate key values of HDC into logo design and poster design. In order to help accommodate presenters, we have reserved a block of rooms at three local hotels (listed below) under some variation of the name ND-Kellogg/Human Development Conference. Please make reservations under this name in order to receive the conference discount. To receive these reduced rates, reserve your hotel room no later than Tuesday, January 22. The discount is not guaranteed following this date. To keep costs down for students, we are offering to pair presenters to split the cost of the room. We will introduce paired presenters to each other via email. Presenters will be in charge of contacting each other and making the hotel room reservation. Please remember that these pairings are random, and we are not responsible for any personal differences that may arise. We cannot guarantee that presenters who express interest in having a roommate will receive one. Please indicate your preferences in the RSVP survey. The Fairfield Inn and Suites in South Bend has rooms that will be available at a rate of $133/night plus tax. The room block is entitled ND-Kellogg/Human Development Conference. The hotel is located on the edge of campus and is within walking distance of the conference activities. A breakfast bar is offered each day and is included in the above price. The Inn at Saint Mary’s has rooms that will be available at $99/night plus tax. The room block is entitled ND-Kellogg Institute/Human Development Conference. Complimentary hotel shuttle service to Notre Dame’s campus is available. It is located on St. Mary’s College campus, less than 2 miles from campus. A breakfast bar is offered each day and is included in the above rate. The Morris Inn has rooms that will be available at $179/night plus tax. The room block is entitled ND-Kellogg Institute/Human Development Conference. It is located on the Notre Dame campus. The majority of the conference will be held at the Hesburgh Center for International Studies at the University of Notre Dame, located in Notre Dame, Indiana. (Note: This is not to be confused with the Hesburgh Library, which is also located on the Notre Dame campus. You can distinguish the two by noting that the library is 13 stories tall, while the Hesburgh Center is not). Please note that the University of Notre Dame is in the Eastern Time Zone. Notre Dame, Indiana, is 90 miles east of Chicago. The surrounding communities are South Bend and Mishawaka. The University is located South of the Indiana Toll Road (Interstate 80/90). Take exit 77 toward IN-933/US-31/South Bend/Notre Dame from I-80/90 E.
Turn right onto Indiana 933 South/South Dixie Way. Proceed 1.1 miles. Turn left at the 4th stoplight onto Angela Boulevard. Proceed 0.8 miles. Turn left at the 1st stoplight onto Notre Dame Avenue. Turn right at the 1st stop sign onto Holy Cross Drive. Signs will identify visitor parking. Take US 31 North. It becomes Indiana 933/US 31/Michigan Street just south of South Bend. 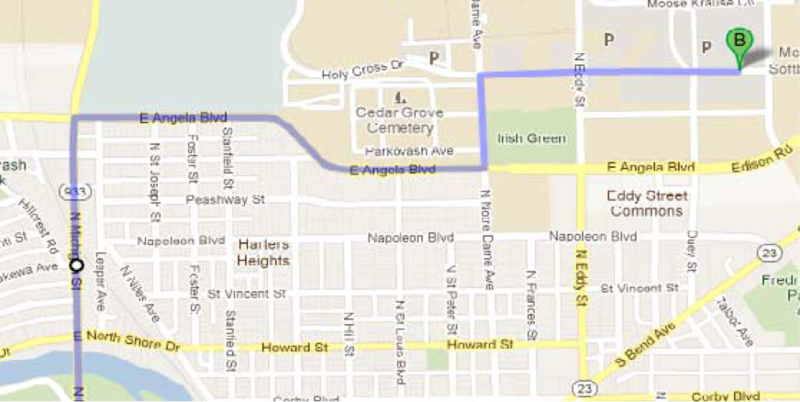 Proceed on Indiana 933/US 31/North to Angela Boulevard, which is the second stop light north of the St. Joseph River. Flying into the South Bend Regional Airport: Arriving at the South Bend Regional Airport can be a convenient way to travel to Notre Dame. Airlines serving South Bend include Allegiant, Delta, and United Airlines. Flying into Chicago Airports: Flying into Chicago O'Hare or Midway Airport can be a cheaper way to travel to Notre Dame. Bus transportation is available from both Chicago airports directly to the campus of Notre Dame. Train transportation is also available from Chicago to the South Bend Regional Airport via the South Shore Line. Follow the signs in the airport for trains to the city. In the train area, follow the flashing yellow light to find the train that is loading passengers. Take the Blue Line towards the Forest Park Terminal to Washington station. From that stop, walk one block north on Dearborn Street and 3 blocks east on Randolph Street to arrive at Millennium Station, where you can board the South Shore Line to the South Bend airport. On the way back to Chicago O’Hare, take the South Shore Line to Chicago’s Millennium Station. Walk 3 blocks west along Randolph Street to Dearborn Street. Turn left on Dearborn Street and proceed to the Washington subway station for the Blue Line. Follow overhead signs towards Chicago O'Hare. Ride the train to the O'Hare Station, which is at the end of the line. The train ride to O’Hare takes approximately 40 minutes and runs every 5–10 minutes depending on the time of day. Follow the signs in the airport for trains to the city. Board the Orange Line and take it to the Randolph/Wabash station. Walk 1 block east on Randolph Street to arrive at Millennium Station, where you will board the South Shore Line to the South Bend airport. On the way back to Chicago Midway, take the South Shore Line to Chicago’s Millennium Station at Randolph Street. 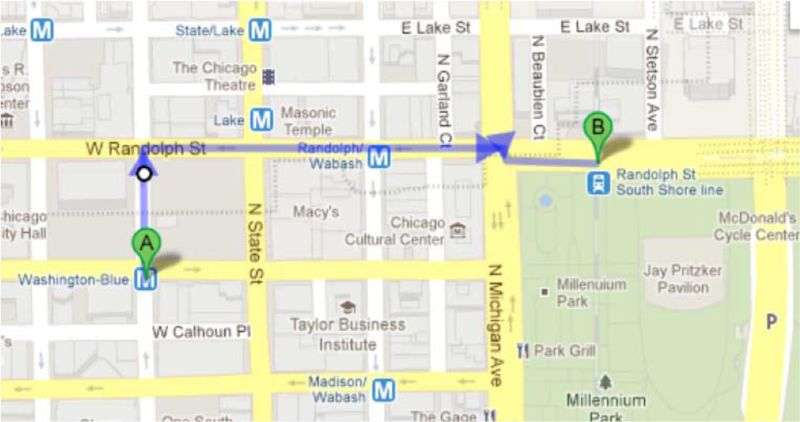 Walk 1 block west along Randolph Street to Wabash Avenue and enter the Randolph/Wabash station for the Orange Line. Follow signs and take the train marked with orange signs to Midway Airport. Ride to the Midway Station, which is at the end of the line. The train ride to Midway takes about 30 minutes and runs every 5–10 minutes depending on the time of day. Follow the signs and take the overhead passage to the airport terminal, about one-quarter mile. The South Shore Line commuter train travels from downtown Chicago to the South Bend Regional Airport. One-way fare is $13.25. The train takes about three hours to travel from Millennium Station to South Bend, but keep in mind the one-hour time change between South Bend and Chicago. Additional information is available at www.nictd.com or by calling (800) 356-2079. To arrive at the downtown terminal of the South Shore Line in Chicago (Millennium Station), take the Blue Line train from O’Hare Airport or the Orange Line train from Midway Airport (see above). Amtrak runs directly to South Bend. After arriving at the station, you would then need to call a taxi or uber to take you to the Notre Dame campus. Please refer to www.amtrak.com for schedules. From Chicago Airports: Coach USA provides bus transportation from O’Hare and Midway airports in Chicago and runs directly to the Notre Dame campus. Round trip tickets cost $75, and one-way tickets cost $42. Coach USA buses run approximately every two hours. Please refer to www.coachusa.com/tristateunitedlimo/ for schedules. From Midwestern Cities: If you are traveling in the Midwest, check for low fares from Megabus, which has stops in Chicago. You would then need to take the train or another bus to South Bend. Schedules and stations are available at www.megabus.com/us/. From Cities across the Country: Greyhound stops at South Bend Regional Airport. Schedules and stations are available at www.greyhound.com. In light of the theme of 2019’s Human Development Conference, Engaging With Empathy: A Preferential Option for the Poor in Development, the committee is seeking photo and video submissions that relate to the development research that will be showcased at the conference. The conference provides an opportunity for undergraduate students to engage with development challenges through the perspective of those most impacted. Photos and videos are a crucial component to this perspective. Photos and videos are more than a snapshot; they have the potential to tell stories and provide a glimpse into the complex human experience. At this year’s Human Development Conference, the committee is aiming to transform photos and videos into an experience, one that allows the viewer to better understand the context and relationships that make the art so impactful. This goal drives the theme for 2019’s photo and video exposition; Through a Lens of Empathy. Photos and videos submitted to this year’s conference should shed light on people, subjects, or places that are often misunderstood or left out of the development conversation. All photo/video submissions will be considered according to artistic quality and how well they illustrate the theme. In order to best showcase submissions that take an empathetic approach, the committee will select photos or videos that take lengths to demonstrate the humanity of their subjects, highlighting challenges, places, and relationships on a personal level. Photography Open-House: Submitting a photo to the open-house will allow you to both display your photo and to explain the story behind the shot to viewers as they peruse the exhibit on Saturday, February 23, 2019 during the Human Development Conference. The Open-House will be in the style of a forty-five minute poster presentation. Conference attendees will have the chance to pass by to hear the story of the photo and your connection to the people and the places highlighted within it. If you are selected, we will share more details regarding presentation guidelines and timelines closer to the date. Ongoing Gallery: The gallery will display your photo or video submissions throughout the course of the conference, but you will not be asked to present your submission. Interested undergraduate students should submit photos or videos to either the gallery or the open-house through this form. The final submission deadline is January 25, 2019 at 11:59 PM. Invitations for participation will be extended by the end of January. Students who accept invitations to present photos or videos as part of the open-house will be responsible for securing funding for travel and other related expenses. We hope that you will join us in participating in this important conversation! The Ford Program in Human Development Studies and Solidarity and the Kellogg Institute for International Studies, part of the Keough School of Global Affairs at the University of Notre Dame, announce the 11th annual Human Development Conference. The 2019 Human Development Conference will encourage participants to view research, problems, and policies from the perspective of those most affected by development challenges. The conference seeks to explore how the use of the preferential option for the poor and solidarity with marginalized individuals improve potential development solutions on the ground. Conference participants will be encouraged to highlight the need for increased partnerships among all stakeholders engaged in human development. Undergraduate students interested in presenting should submit an abstract of their research project and complete this questionnaire. The final submission deadline is Monday, November 19, 2018, at 11:59 PM. Invitations for participation will be extended in early December. Students who accept invitations to present at the conference will be responsible for securing funding for travel and other related expenses. Sub-saharan Africa currently bears 24% of the global disease burden, yet is home to just 3% of the global health workforce (Anyangwe 2007). Despite this crippling disease burden, nearly 45% of graduating physicians in Uganda plan to emigrate upon graduation (Kizito 2015). Medical brain drain refers to this human resource crisis that plagues the healthcare systems of many developing countries, where newly graduated physicians choose to leave the country after receiving their formal medical education. For over a decade, public health leaders have attempted to meet this critical human resource shortage through an increase in the availability and efficacy of medical education (Akuffo 2014). Through in-depth interviews with over 40 medical students at Makerere University in Kampala, Uganda, my research attempts to uncover the complex push and pull factors that affect the emigration decisions of Ugandan medical students. While past research points to low pay and high overburden on health professionals as the impetus of the brain drain, my project identifies sociocultural factors that influence emigration like social ties, national pride and shame, socioeconomic background, as well as lived experience in the health system. These results provide tangible recommendations for public sector managers and policy makers in Uganda to help curb brain drain in their health system. Although the Ministry of Health recommends yearly cervical screening through Pap tests, Nicaragua has one of the highest cervical cancer mortality rates in Latin America due to pervasive barriers that women face in accessing healthcare. One aim of this study was to explore strategies to mitigate these barriers in culturally appropriate and feasible ways, including primary prevention and secondary prevention through Human Papillomavirus (HPV) self-collection. HPV self-collection is an innovative and empirically based strategy shown to increase cervical cancer screening for women in lower resourced settings. Utilizing a collection brush, women can collect their sample in a setting of their choice and send the sample to get tested. We partnered with the Ministry of Health, a local human rights NGO and interprofessional collaboration in Bluefields (the largest city on the Caribbean Coast) to conduct a community-based needs assessment, key informant interviews (n=12), focus groups (n=25) and a systematic environmental scan, all guided by the socio-ecological model. We audio-recorded and transcribed verbatim all data. We analyzed descriptive statistics and through thematic analysis, we analysed qualitative data. According to our findings, the main barriers were: cultural obstacles, machismo being the main issue, misconceptions about prevention, and a lack of systematic and comprehensive sexual health education. If rolled-out under specific circumstances, HPV self-collection could increase access to cervical cancer screening for women in Bluefields and the surrounding rural areas by overcoming these barriers, thus empowering women to take agency over their health. More research is needed to pilot this intervention. Dubbed as the worst country to be disabled by the British Broadcasting Corporation, 95% of people in Ghana have no access to rehabilitative services (Tinney 11-12). Without a systemic chronic disease policy, organizations and researchers have paid little attention to study amputees and invest in rehabilitative care despite their unprecedented growth. Although there are clear financial, logistical, and social barriers to receiving care, it is unclear what factors impact an amputee’s decision to be treated or whether a prosthesis is desired in the first place. The study aims to research the ability, choice, and desire to pursue prosthetic services from the viewpoint of amputees. Between July and August 2016, data was collected through 24 interviews with healthcare providers, amputees, and prosthesis-users in the Cape Coast and Accra region. Ethnographic research methods were used to analyzed key distribution and health facilities which found that (1) rehabilitative facilities in Ghana for prosthesis are severely under-resourced due to (2) the lack of priority funding in rehabilitative services. (3) The inability to access is compounded by the lack of information on prosthesis centers and their sparse distribution, and (4) in addition to financial barriers, social stigma and isolation may play a larger part in the amputee’s decision-making process. This study makes recommendations to healthcare organizations to address the plight of amputees in Ghana. As the number of amputees rise worldwide, a targeted approach in addressing the needs of amputees is invaluable for their reintegration into society and to address weaknesses within current healthcare systems. This study evaluated the impact and technical progress of the Sustainable COmprehensive REsponses (SCORE) for vulnerable children and their families’ project, as implemented by St. Francis Health Care Services (STFHCS), in the Nyenga and Wakisi Sub Counties during its original 5-year tenure. This study was initiated on June 6th, 2016 and was fully completed on July 22nd, 2016 with the submission of the final report. The motivation for this study was the need to identify the best practices and capacity gaps of the SCORE project in order to inform the project implementation of STFHCS and the SCORE project implementation for the 2 year extension. The data collection methods used in this study included home visits, vulnerability assessment tool review, project report review, focus group discussions, and key informant interviews. Generally, the SCORE project has had a positive impact in reducing the vulnerability of beneficiaries in Nyenga and Wakisi Sub Counties. With the data collection methods, it was found that the economic strengthening (SCORE objective 1) activities were the most appreciated and praised by the beneficiaries. However, it was also the area of least reduced vulnerability. The area that saw the greatest reduction in beneficiary vulnerability was food security (SCORE objective 2). This success was attributed to the nutrition dialogues and urban horticulture trainings. The activities that were ineffective and/or in need of correction included the apprenticeships, bank linkages, farmer field schools, child friendly schools, and community skills trainings. The Rev. Ernest J. Bartell, CSC, Prize for Undergraduate Research on Poverty and Development is conferred annually at the University of Notre Dame's Human Development Conference. Two $1,000 prizes recognize outstanding undergraduate student research on poverty and development. Each year one prize will be given to a student at the University of Notre Dame and one to a student from another university. Undergraduate students invited to present at the 2019 Human Development Conference are eligible to apply for this award. Information regarding how to apply is included in the conference invitation. Students who wish to be considered must apply by Monday, January 14, 2019. Finalists will be notified by January 30 and additional information and/or an interview may be required. Student research should address a specific aspect of poverty and development, whether in the United States or abroad. Research may be submitted from any field of study, including the social sciences, natural sciences, and humanities. Students are encouraged to conduct original research and to consider programs and policies that could help reduce poverty. A faculty committee will determine the award recipients, and prizes will be conferred during the Human Development Conference, February 22-23, 2019. Human-centered approaches to development requires trust, compassion, and awareness in order to place the individual at the center of development. In order to implement the Sustainable Development Goals, the global community needs to shift from theory to practice – from policy to individuals – refocusing its efforts by placing humans at the center of the sustainable development agenda. Creating solutions to critical issues that afflict the world’s populations today requires not only a shift in scale but the recognition and continual affirmation that the dignity of peoples on all sides of the path to progress must be the central focus of development. The theme of the sixth annual Human Development Conference, "Transforming Development: New Actors, Innovative Technologies & Emerging Trends," was inspired by the idea that development is an evolving process. A widening set of stakeholders and rapidly advancing technologies raise new possibilities for the field. The conference was a chance to reflect on both successes and failures in development, while analyzing opportunities created by these new trends. The fifth annual Human Development Conference, “In the Field: Cultivating Collaboration and Innovation,” brought together more than 200 students, faculty members, and development experts from around the world, including keynote address speaker, Sara Sievers, the founding executive director of the Center for Globalization and Development at Columbia University’s Earth Institute. Over 70 students presented their own research, representing fieldwork from more than 30 countries. Topics addressed ranged from evaluating the perceptions of trust among Peruvian sexually abused victims to combating cancer in Samoa and implementing organic agricultural certification in India. The fourth annual HDC, “Faces Behind the Figures: Visions of Prosperity, Progress and Human Potential,” took place during February 2012, culminating in a keynote address given by Not For Sale’s co-founder and executive director Mark Wexler. The conference featured 250 students, faculty and development experts from across the United States and beyond. Eighty-two students presented research on development-related topics conducted in over 35 different countries. Panels addressed topics ranging from food security and agricultural development to post-conflict transformation and the effectiveness of foreign aid. The third annual Human Development Conference, “Unleashing Human Potential: Global Citizens in Pursuit of the Common Good,” brought together 73 undergraduate and graduate student-presenters with research experiences in over 30 countries. The Ford Program also welcomed a group of two students and three faculty members from Uganda Martyrs University, the program’s partner university in on-site research and development projects. The two-day conference concluded with a dinner banquet and keynote address given by microfinance specialist David Roodman from the Center for Global Development. The second annual Human Development Conference, “People, Power, and Pragmatism: The Future of Development in Our Changing World,” was held in February of 2010. More than doubling in size from the previous year, the conference grew to 80 students with research experiences in 38 different countries. Thirty-eight colleges and universities from across the globe were represented. Ray Chambers, the United Nations Secretary-General’s Special Envoy for Malaria, spoke on his commitment to the Millennium Promise and Malaria No More. The keynote address was delivered by Joseph Sebarenzi, the former speaker of the Rwandan Parliament, who spoke passionately about his experience as a genocide survivor and his efforts to create reconciliation, peace and development in Rwanda and the world. In 2008, together with the Center for Social Concerns, the Ford Program sponsored a student research symposium entitled “Solidarity in Pursuit of Authentic Human Development.” Twenty-eight students presented at the event, including students from Uganda Martyrs University. Raymond Offenheiser, president of Oxfam America, delivered the keynote address. In November of 2008, the symposium grew into a full conference sponsored by the Ford program and cosponsored by the Center for Social Concerns and the School for International Training. “Innovation in the Service of Human Dignity” featured graduate and undergraduate student presenters from 29 universities and representing 28 countries of research. Moderators from around the country also attended the conference to facilitate panel discussions. Peter McPherson, the former head of USAID, delivered the keynote address.